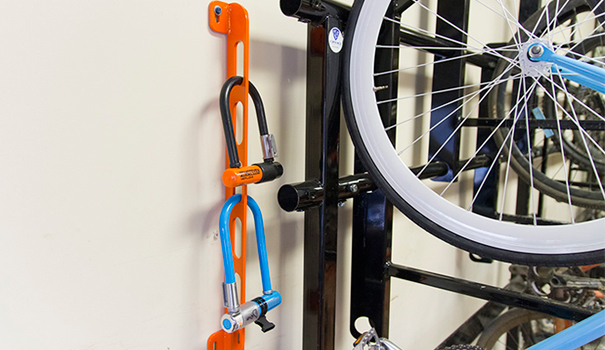 Ride with less, Lock Dock eliminates the need and worry of transporting bike locks back and forth. 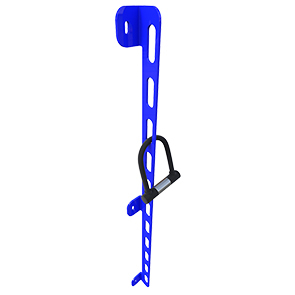 The 3.25" x 48" Lock Dock is constructed with highly durable .25 steel plating featuring laser cut openings which provide convenient access to secure up to 11 bike locks. Lock Docks simple wall mounted design is a fantastic addition to bicycle parking spaces—great for work environments and residential buildings. The wall-mounted Lock Dock is available in galvanized or powder-coated finish.